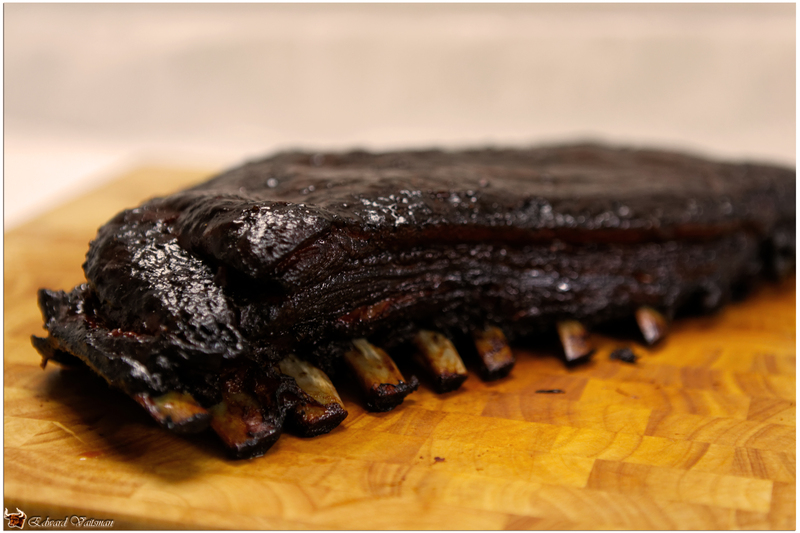 This is my take on a BBQ classics – smoked spareribs. I was experimenting with all kinds of BBQ sauce flavors, and the apple one is most definitely among my leading 3 choices for a BBQ sauce. Step 1 – preparing the marinade. Mix 3 cups of pineapple juice with lemon juice and 1 cup of water, then add finely chopped kiwi. Place the ribs in a large disposable foil baking tray and pour the marinade over it. 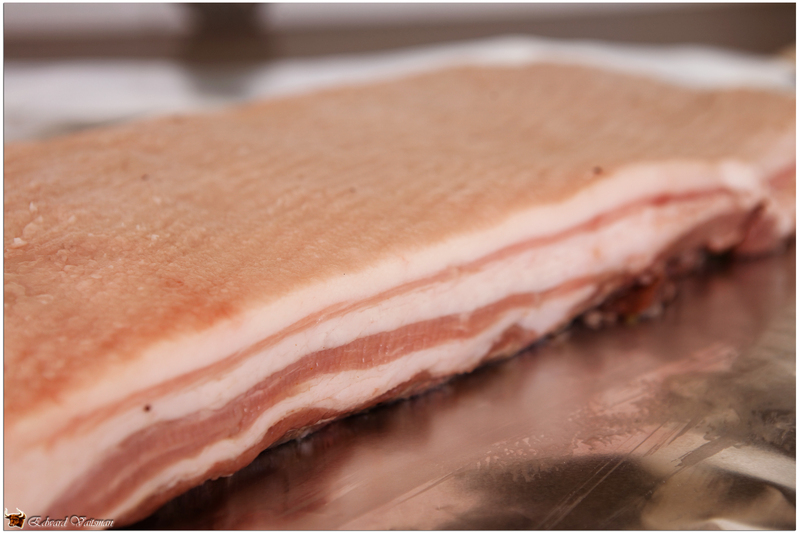 Let stand for about 4 hours in the refrigerator. From time to time flip the ribs to marinate them equally. Do not forget to remove the membrane on the bone side of the ribs. 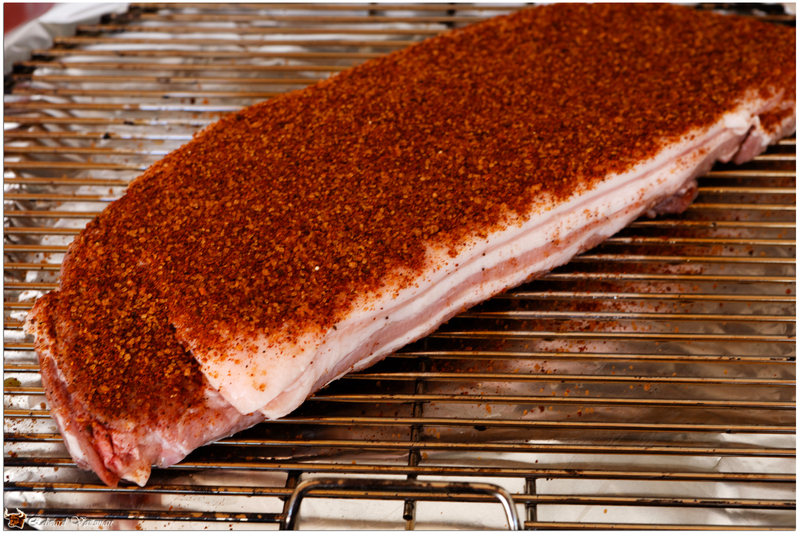 Step 2 – take the ribs out of the marinade, pat dry and generously sprinkle all over with the dry rub. Step 3 – smoking. Prepare your cooker for about 8 hours of smoking on 225F (110C approximately). I used hickory and cherry wood, mixed 2:1. After about 2 hours start basting the ribs with the remaining 1 cup of pineapple juice mixed with 1 cup of water. Do it every hour or so. Step 4 – about 30 minutes before taking the ribs off the smoker brush them with the BBQ sauce. 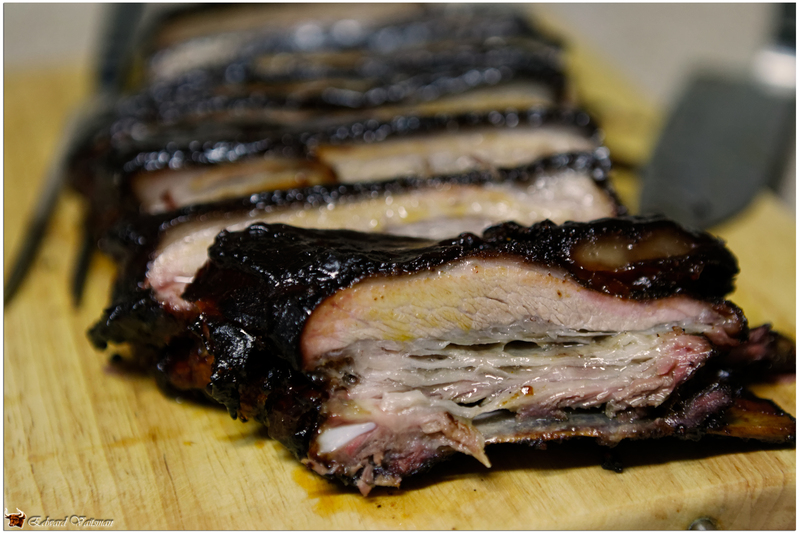 Step 5 – let the ribs stand for about 10 minutes loosely covered with foil… then slice and serve at once! This entry was posted in Meat, Pork and tagged BBQ, classic, pork, ribs, rub, sauce, smoked, smoking, spareribs. Beautiful, Ed! Man, you should have commented on our site much earlier, because I didn’t know all this goodness existed over here. You’re doing good stuff on Grilling with ED! Carry on , mate!